The Victory Hotel is long regarded as Brisbane's favourite meeting place. Generations of people have called and still call The Victory Hotel, the place to meet. Thank you for expressing interest in The Victory Hotel for your next function. The Victory has been helping people enjoy their occasions for over 80 years. We serve up great entertainment and experiences along with premier function facilities and services. We have a diverse range of function spaces, offering a suitable solution for any occasion. We are committed to providing a function tailored to your individual requirements. We excel in function and event management, including corporate meetings, casual gatherings, engagements, weddings, cocktail parties, and birthday celebrations. Should you wish to view any of our function areas or you have any further enquiries; please do not hesitate to contact us Monday to Friday during business hours to make an appointment, or feel free to email us at any time. Our newest addition, this space has a raised view over our beer garden with a private bar. 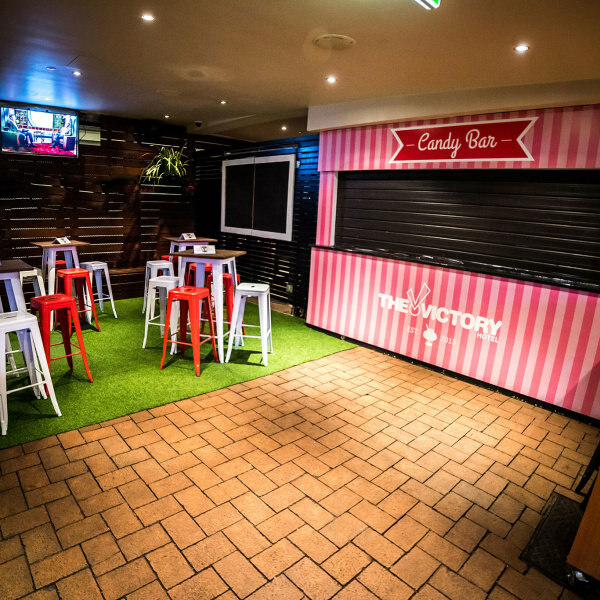 This area can be set for a corporate function or with high bars, great for a 18th, 21st or 30th birthday party, right in the middle of the action in Brisbane’s best beer garden. This is a great space for Hens parties or a ladies night out. The heart and soul of The Victory has always been our famous Beer Garden. Recent renovations have transformed this spacious area into an inner city green escape. This area can be hired completely depending on the date and times. Ideally suits for large parties, large uni functions or great for a corporate social event to impress. A great corporate space or birthday / reception party room. Level 1 Nightclub can cater to any large event, party or reception. The Club has the latest in AV and lighting available, large projector screen, full music system and microphones are available. Level 1 can be split into numerous smaller spaces, just simply ask our function manager. Named after Lord Nelson Horatio, the captain of the HMS Victory (of which the hotel is named after), this room is the perfect area for a private work gathering / party, after work drinks, 18th, 21st, 30th birthday or any special occasion. This room can be made private with your own private bar and amenities. Nelson's Bar is located on the ground floor and has great access for all of your guests. This room also has functionality to host Karaoke if you desire. A great private space on the second level predominantly used for day corporate events and night-time celebrations. This room is very popular with engagement parties, birthday celebrations and stylish corporate functions. The Sailor Jerry Room offers a private spirit and packaged bar along with its own designated smokers lounge, and amenities. A jewel in the crown, the new Hornblowers cocktail bar is one of Brisbane's best. 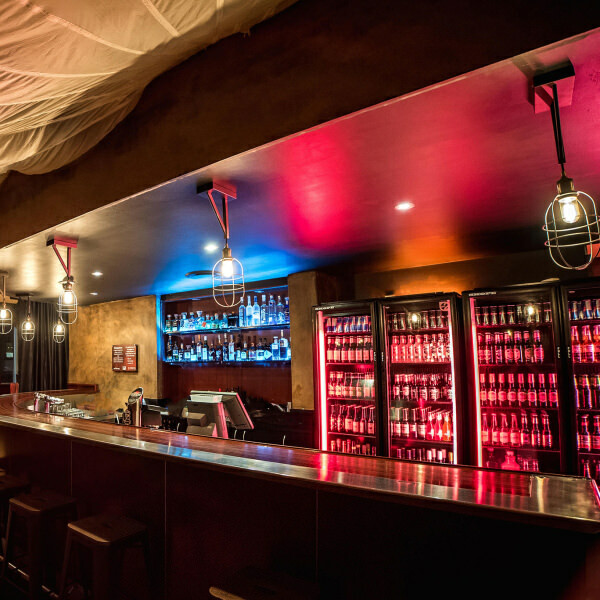 With possibly Brisbane’s best back bar range you will struggle to match, this space offers intimacy and elegance for you and your guests. This room is perfect for corporate celebrations, birthdays, product launches or charity fundraisers. This room makes a great statement.